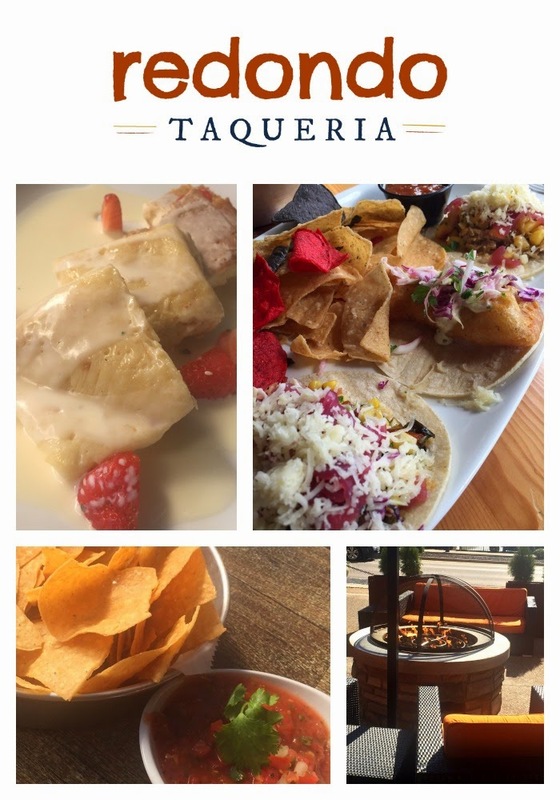 Restaurant Review: Redondo Taqueria | The Food Hussy! Yesterday I reviewed Mazunte - one of the latest taquerias in town - and today - it's #2 with a review of Redondo Taqueria. Redondo is at Newport on the Levee's street level and replaced the Toro restaurant and is attached to Axis Alley (bowling). I will say - I've been there 3x in 10 days. Is it the best taqueria in the world? No - but it's really good and it's super convenient and it has a great server in Valentine. All three times I got the tres tacos (someone asked Valentine how many tacos are in the tres tacos- oye vay!). The tres tacos is either 3 of one kind or any combo of them ($8-11). My standard is the crispy fish and two carnitas. The crispy fish is topped with radish, cilantro, citrus slaw and tomatillo aioli ($10 for 3). It's really good! I like it BETTER than Mazunte! The breading is so crispy - loved it! Then I get two of the Carnitas ($8) topped with pineapple salsa, pickled onion and cotija. It's everybodys favorite - the pineapple really sets of the shredded pork. Delicious! I'd say this is on par with Mazunte. This is sweeter but they're both my favorite. I've also had the short rib and poblano. Short rib is usually something I obsess over but oddly enough I didn't care for it on the taco - it was a little tough. The poblano had a lot of great toppings but I didn't care for the bitterness of the cooked pepper - it's also the spiciest of them. We also tried dessert there once - mainly because I'm obsessed with Tres Leches cake. This was a big let down and not NEAR as good as Chuy's. In actuality - when they brought it out - it was still frozen and basically inedible. Once we mentioned it - they took it off our bill. Valentine tried to get us to get churros (which I love) but we're usually too full after the chips and tacos. Why Should You Go? We love it - we work right across the river and the Levee has free parking Mon-Thurs. A lot of people on Urbanspoon compare this to Bakersfield - and I think a bit unfairly. Bakersfield is good - but I don't think their tacos are any better (their guac and queso are great). And personally - I don't plan on EVER waiting 2 hours for a table or food. If you want great service (Valentine), delicious tacos and free parking (Mon-Thurs Lunch) - then check out Redondo.